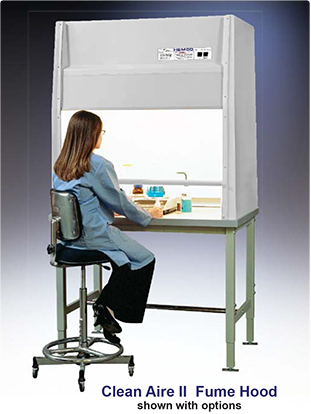 Clean Aire II Fume Hoods are a Class DH1 ductless hood workstation. Activated Carbon Filtration for fumes, odors, non-hazardous chemical vapors. See your MSDS data sheet for specific details of each chemical used. •Small quantities of solvents, acids, and annoying odors are absorbed into the carbon filter, that recirculates air back into the room thus avoiding the need for installation and lowering energy costs. •Self contained ductless hood unit, equipped with integral carbon filter, vapor proof light, vertical sash and controls. •Completely molded of fire retardant fiberglass. •Equipped with integral exhaust blower and carbon filter. 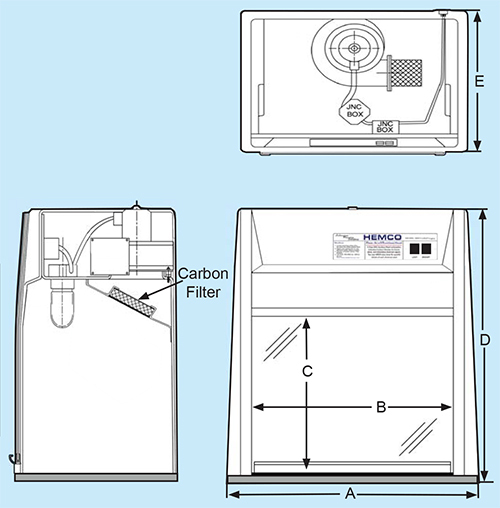 Carbon filters are removed from inside of fume hood. •Does not require duct or venting to the outside. •Recirculates filtered air back into the laboratory. •Shipped completely assembled and equipped, ready for operation. Base Table Constructed of coated welded steel 48" wide X 30" deep. Adjustable height from 30" to 36". 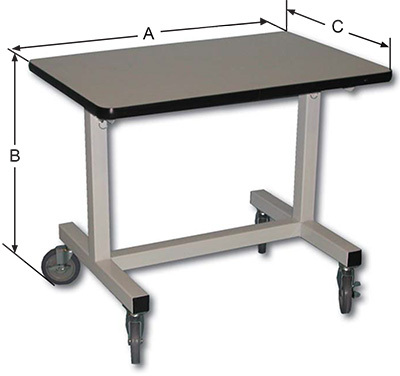 Table includes a foot rail, and leveler feet. 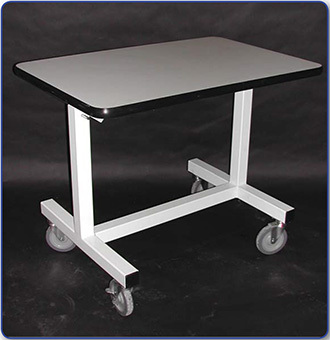 Plastic Laminate Worksurface 48" X 30"
The HEMCO Mobile Table is designed to support Demonstration Hoods, VSE Enclosures and light weight laboratory equipment.